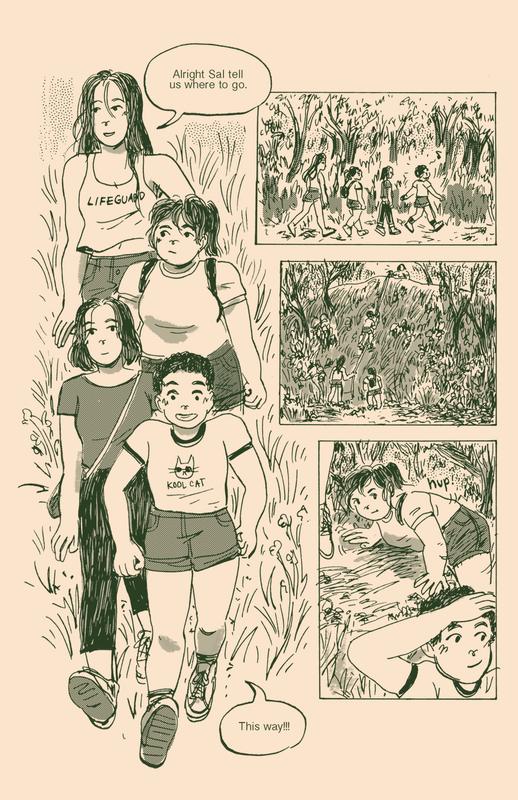 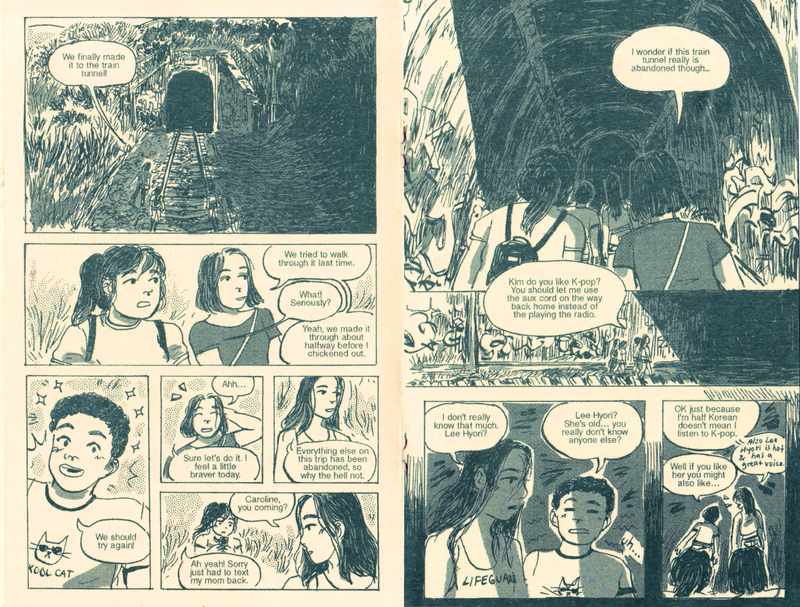 A comic about some kids who walk through a train tunnel! 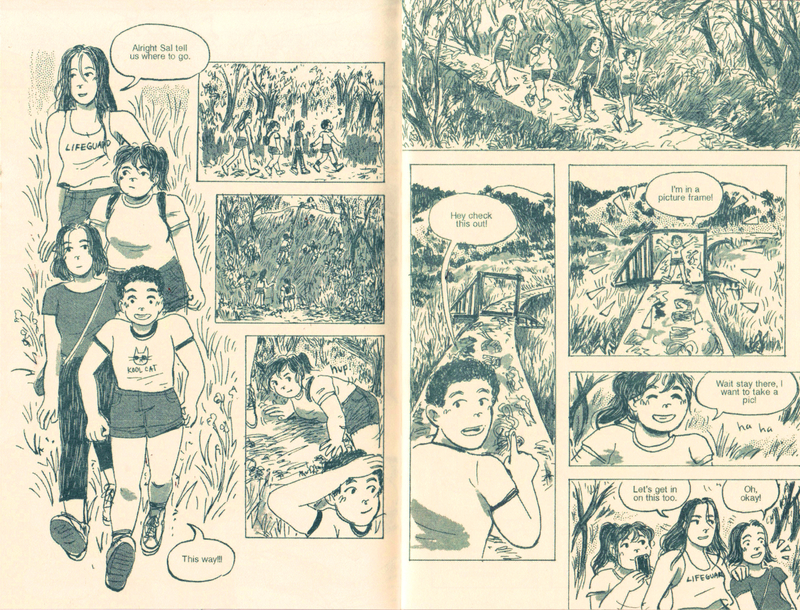 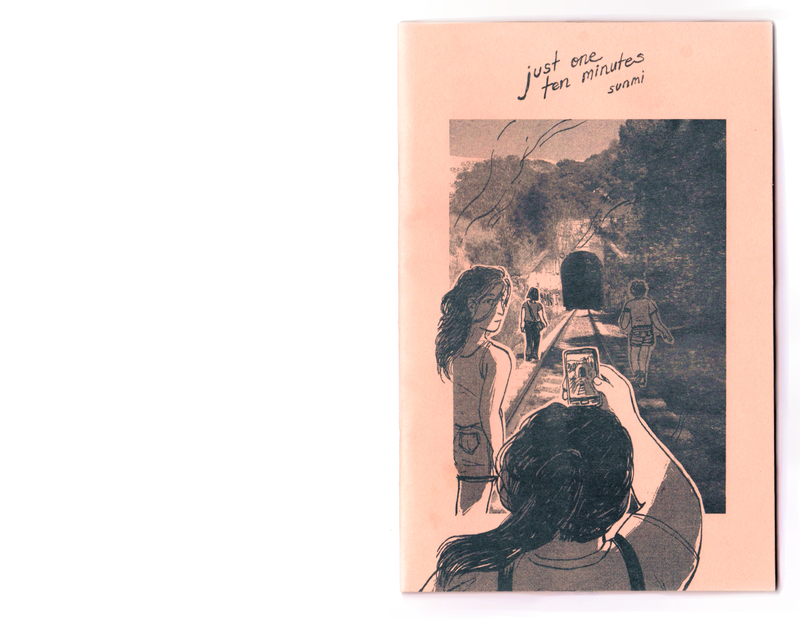 28 pages, risograph printed in hunter green and teal with Diskette Press. 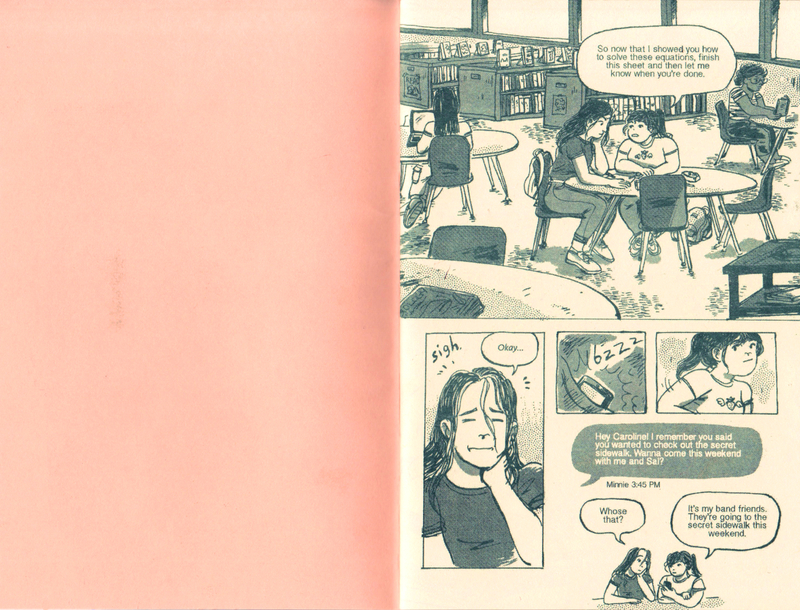 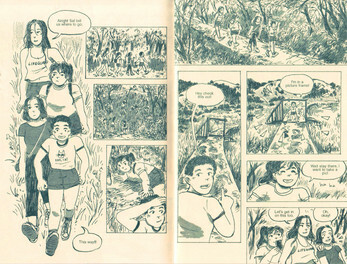 Includes scans of the original minicomic and a digital version for ease of reading.